Latino Gamer for the Masses: Civilization IV: Colonization, PC? Thoughts on anything latin, futbol and videogames. Colonization main focus is the conolization or conquest (a small c) of the New World by the entroaching European powers. During the era from about 1500 to the 1800s, after the discovery period. The key players are all here, the English, the French, the Spanish, and the Dutch. The goal is to compete with other European powers, but historically, the competion was between groups like trading groups of the Dutch East India Company, Proprietary Governors ( individuals or companies granted commercial charters by the King of England to establish colonies) and Spanish Conquistadores. The conolization of the New World is one of mass death of the Native Americans by the means of slavery, disease and war. Is this a game you want to play? 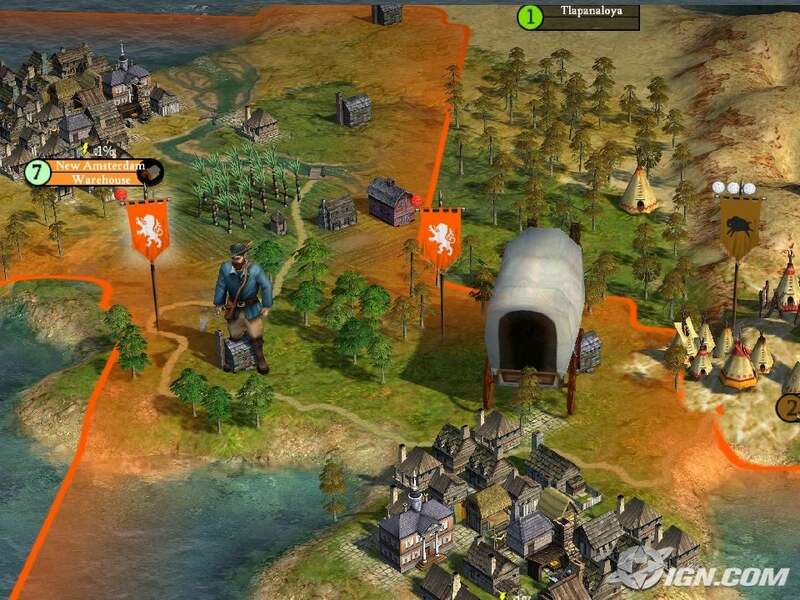 Is Civilization 4: Colonization outright racist? Since the game has not been released, we have no idea if the developer and the creator have up their sleeve in regards to the New World people. Is the players' only interactive goal is to colonize, destroy or to enslave the New World AIcounterparts, is that racist? Would it be historically accurate to have the chance to use chemical warfare by contemplating the use of passing smallpox through infected blankets? If the player loses a battle, would Mesoamerican AI perform sacrifices of the captured Spanish Conquistadors and their allies? These questions will largely remain unanswered up until the game is released If they can portray a historically accurate account of what happen to the new world, show the effects to the Columbian exchange and to tell the story for the tragic incidents of Trails of Tears, the Fall of the Aztecs and Incas, then I am all for it. History can be a tragic affair, and at times we do not want to hear the inconceivable truth, but we must know it. My hope is that the developers, publisher and the creator will not allow a simple lie prevailing the complicated truth in regards to the New World and its colonization. My question to the reader, knowing the horrible tragedies that occured during the exploration and conolization of the New World, is the game racist or insensitive at best? Get a tampon, cry more loser! I own the game and it is only as "racist" as players want it to be as oppressing natives is only one option among many. Playing complex, turn-based strategy games requires a certain ability to delve into the matter. Foresight is important as the game's ultimate goal is the Declaration of Independence and the ensuing war with the European forces. Strategic players will quickly realise the advantages of creating favourable conditions for peaceful co-existence. The advantages of ruthless behaviour towards native tribes are temporary at best and attracting the natives' lasting ill will that way may backfire horribly during the major conflict near the end of each game of Colonization. Which Resident Evil is "Racist?" Ruud Van Nistelrooy the end? Torreon Santos winners of the Clasura!